You should probably get out of any confined space you're in using the arrow keys (or swiping on mobile). Written for a BitsyJam that never happened, because "Growth" was pipped at the theme on the last day, but the idea never left. 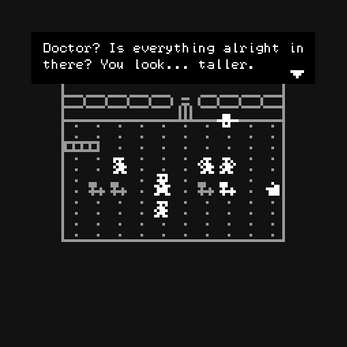 Created with Bitsy by Adam Le Doux. Invaluable feedback provided by Onion. Title card font is ModeSeven by Andrew Bulhak, freeware for personal and commercial use. 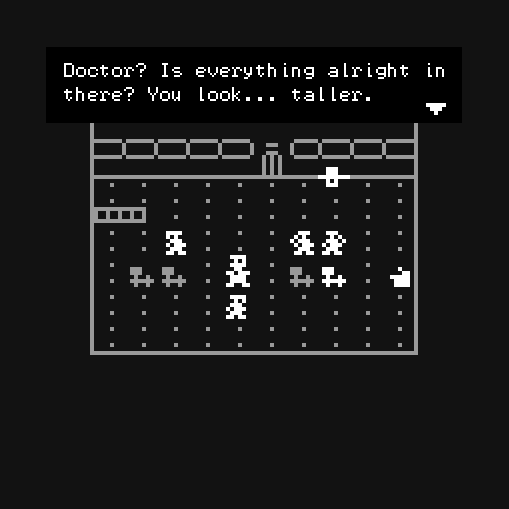 a lot of times bitsy games feel well ... bitsy, intimate. this felt expansive in a really cool way! I LOVE IT SO MUCH!!!!!! AAAAAAAHH!!!! I LOVE THE ENDING!!!! !